The “ReduxAir” system allows to carry out stretch-blow moulding operations at lower pressures than usual. By an innovative design and specific technical solutions this system allows for the air in between the bottle's outer walls and the mould's surface to be more quickly released; thus, the PET bottle manufacturing process can be carried out with compressed air pressure at 15-20 bars (such a value depends on the preform and bottle features and on the stretch-blowmoulding process conditions). The great advantage the ReduxAir's user can benefit from in terms of lower power consumption of the compressor requires a few design limitations in the bottle's shape and features. 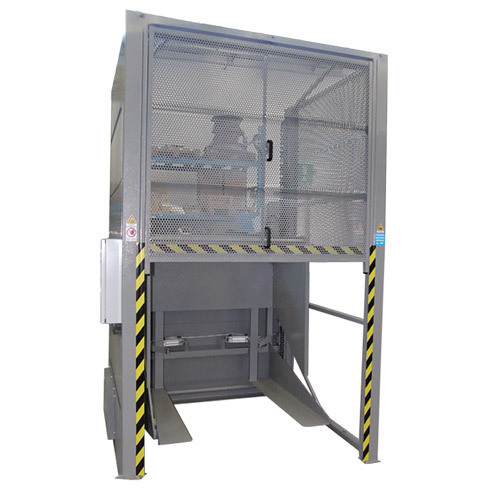 This device allows for a considerable reduction of loading time. 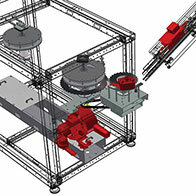 In a few seconds, in fact, it is possible to load up to 2 pallets of preforms (depending on the blow moulder model). The high-pressure air used in the stretch-blowing process of plastic containers (PET, PP, PLA, etc.) must comply with certain quality standards to allow for the pneumatic devices to work properly and to safeguard the equipment efficiency and integrity during its entire life cycle. 3. final filtration for sterile air. 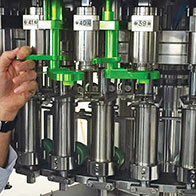 In any bottling line, the hygiene of the product and of the container is crucial. Thanks to the installation of a special spacer star-wheel, the preforms undergo an accurate cleaning process before entering the heating module. 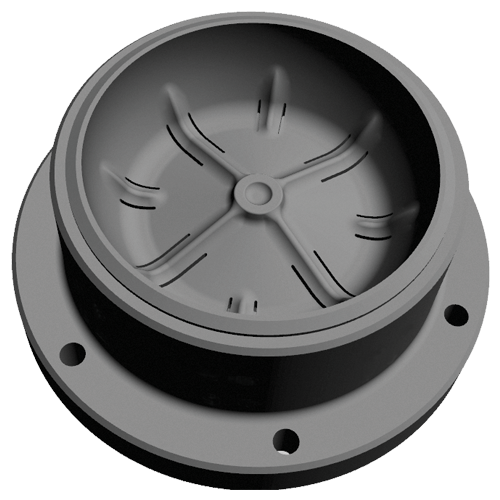 Special nozzles remove any residual dust or microscopic particles from inside the preforms. 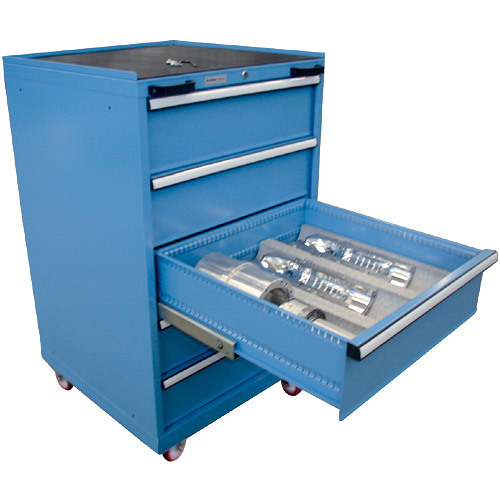 In order to make changeover and extraordinary maintenance operations easier and quicker, SMI supplies a set of 62 tools and a mould storage trolley, with a capacity of up to 15 moulds on standard machine models and up to 4 moulds on HC models. 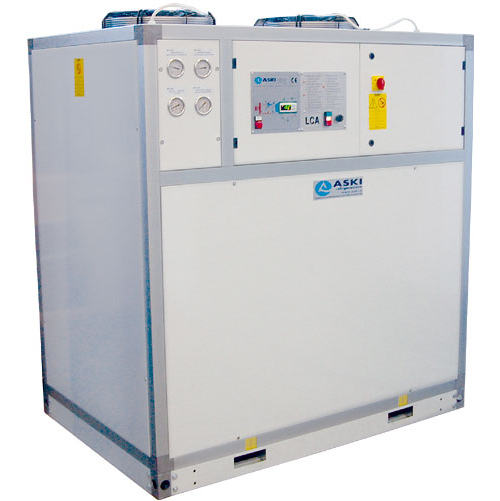 In order to cool the heating module and the blowing wheel, SMI offers different models of air coolers, suitable for indoor installations. 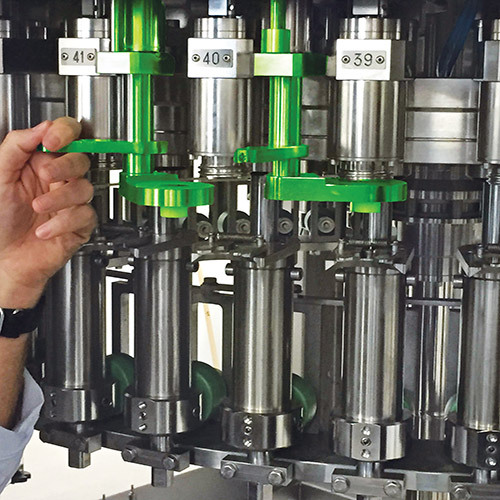 ECOBLOC® ERGON integrated systems feature – as an option – a device for the automatic insertion of dummy bottles during the machine sanitization and cleaning process (CIP). 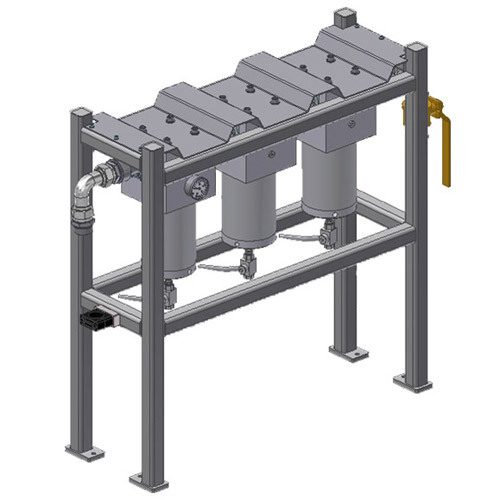 The bottles are lifted, screwed to the filling valve and discharged at the end of the cleaning cycle; such system prevents any contact between the operator and the machine, staving off the relevant product contamination hazards. The process automation allows as well to drive down CIP operation times. Designed and built to hold a high number of tools to manage and maintain SMI primary, secondary and tertiary machines, the new tool case trolley is the ideal solution to facilitate operators working on the bottling and packaging line. Different types of tools can be placed in the spaces on the trolley’s sides so that they are always tidy and always at hand. The internal space has also been divided in a simple rational way, so that different types of tools can be stored in a specific way. 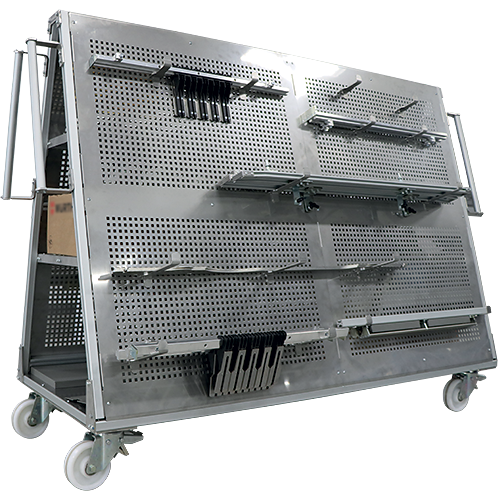 Supplied with wheels, the tool case trolley can quickly and easily be moved around the production area according to operational necessity. It is a simple but extremely functional accessory, that facilitates the production line, increasing efficiency and reducing costs. The trolley can be purchased with the machine or after machine installation at the customer's plant, it is ready to use immediately.